Someone outside of my usual teaching and technology life asked about my upcoming presentation at the 4T Virtual Conference on Digital Writing, and they got sort of hooked into the “virtual” piece. I think they heard “virtual” and thought I was going to be wandering through some virtual reality workshop. Maybe with goggles on. I wish. Instead, I will be in a Blackboard Elluminate platform (which is pretty far from VR, believe you me). 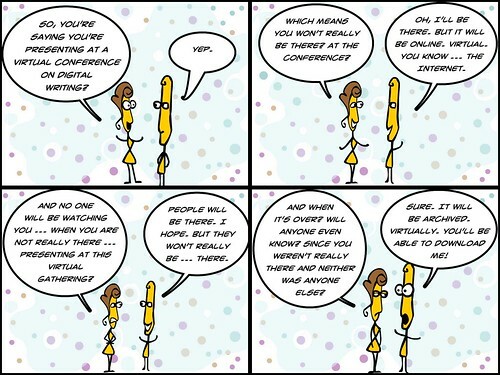 Their pondering about what I was doing for 4T inspired the comic up above, which I hope you might see as an invitation to join me in my 4T session on Emergent Learning (or Expecting the Unexpected) with a specific lens on the Connected Learning MOOC (CLMOOC). It’s free. It’s virtual. It’ll be later downloadable. I spent a good part of the long weekend reading and assessing short stories, the first large writing project that my sixth graders have done this school year. There were a lot of fun and interesting stories, but one thing kept sticking out for me. You may know that I am all in support of the ways that technology and digital writing techniques and possibilities have opened up many writing opportunities for young people. 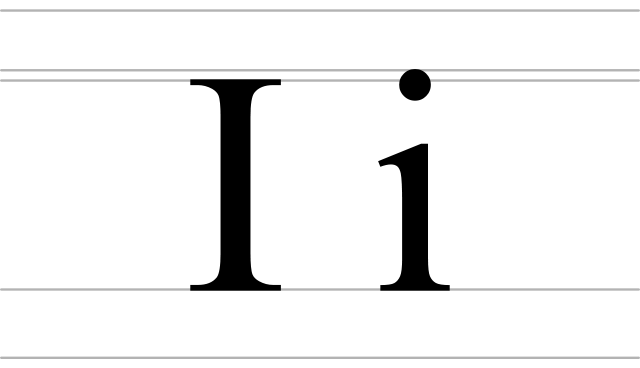 Embedded media, hyperlink associations, etc. Composition is changing, and I’m fine with that. And young people are writing all the time. Writing is at the heart of most of the texting, video creating, commenting, Instagramming, status updating, etc. that they do. I still get frustrated by the use of “i” instead of “I” when it comes to more formal writing. It feels like one of those non-negotiables when it comes to formal writing, right? I do mini-lessons around techniques of proofreading and of writing, and of how different formalities of writing call for different things. Lower case “i” is fine for texting with friends, I tell them, but not for formal school writing, and I show them, and explain it to them. It’s likely a combination of them seeing the lower case so much in other places and spaces that their eye doesn’t immediately notice it, as mine does. Immediately. When using their Google Docs accounts, the “i” is not always deemed a spell-check issue, I’ve observed. So no red squiggles appear on the screen. I don’t know why not. I also know they should not need to rely on the red squiggles for something as simple as “i” becoming “I”. Finally, we all know that proofreading is always a struggle for young writers. After reading The Mark of the Dragonfly and The Secrets of Solace, and loving both, I was all gung-ho to read aloud The Quest to the Uncharted Lands to my son. All three books are set in the same imaginary world of Solace. We started to read Quest in summer, got about a third of the way through, and there it sat for weeks and weeks. He wasn’t all that interested. I couldn’t believe it — Jaleigh Johnson is a solid writer, creating imaginary worlds and stories that connect with each other in interesting ways, and you can sense her love of inventing gaming-style worlds — so I kept asking, Can I read now? No, he kept saying. Not now. Finally, I gave up (sigh) and said if he wasn’t going to listen to the story, I was going to read it myself. OK, he replied (I think he was worried he was hurting my feelings), and yesterday, I finally had time to devour the rest of the book, and again, I was deeply immersed in the world that Johnson has created in her literary imagination. Most of all, and the reason I keep coming back, is that her characters are so alive in this fictional world. This third story is an adventure story with a strong girl protagonist (Stella Glass) who sneaks onto an airship about to explore uncharted lands beyond the mountains. On board, she meets another hidden child, a boy (not quite a boy) named Cyrus, who is trying to return to his own lands beyond the mountains and has the ability to save the ship from storms and from sabotage. For someone on board is intent on destroying the ship before it crosses the mountains. The story races ahead with action, adventure, intrigue and never loses sight of its characters. The Quest to the Uncharted Lands is definitely a book I can put into the hands of my sixth graders, and although the other two books are somewhat connected, there is no need to read them in any order. I suspect Johnson has some grander design here (or is that my hopeful reading? ), but you can enjoy each book on its own. I love her map at the start of each book, and I was intrigued by a post on Johnson’s site about where she writes about the landscape and where inspirations for her world came from. 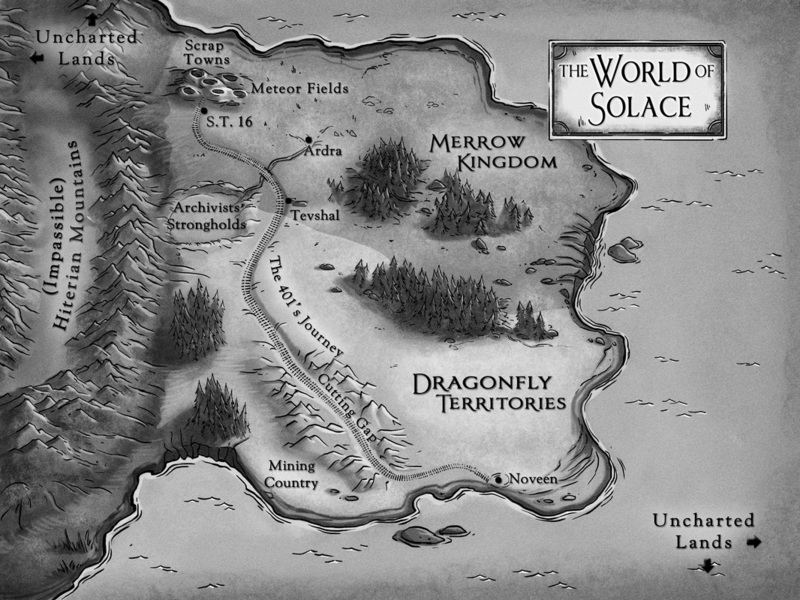 This map of Solace has been expanded west in the new book. As for my son, I worry that the female protagonist turned him off. 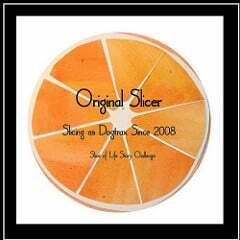 He denies this. Maybe he just isn’t up for fantasy adventures, or the story itself didn’t connect with him. We just got Rick Riordan’s new Magnus Chase book in the mail this week, and he has indicated he wants me to read it aloud to him. He’s a boy at age 13, so this is still a huge thing — letting your dad read aloud to you. So I am holding on to the ability to do so as long as possible, as we head off on another adventure together. In another media space (Mastodon), I have been writing “small poems” most days, little wanderings of tiny verse. Yesterday, this one — called Transmitting — stuck with me, so I decided to walk it out of that social media space and remake it as a digital poem with Lumen5. Meanwhile, my friend, Terry, shared with me two remixed of a small story I had written in that same space. 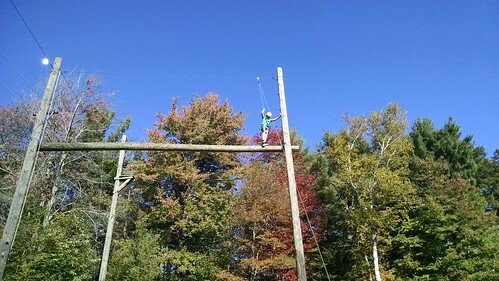 The story was about watching a student overcome her fears and take on a high ropes course. and then as a sound-ful Haiku Deck. I saw this piece via CNN that explores print text vs. digital text with learners and I thought it would be worth giving it a closer read, given my own interest in digital writing (whatever that is) and digital reading. I am using Hypothesis — an add-on that allows for collaborative annotation of digital text — to annotate the article. The nice thing about Hypothesis is you don’t have to annotate alone. Come join me. Go to https://via.hypothes.is/http://www.cnn.com/2017/10/06/health/print-education/index.html and hang out in the margins with me. You will need a Hypothesis account, but it is worth having, for sure. I also put the piece, even though it more about reading than writing, into my occasionally curated Flipboard Magazine: Along the Edges of Digital Writing, which you are welcome to read and subscribe to, if it interests you. 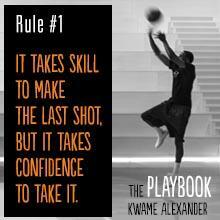 Writer Kwame Alexander’s The Playbook (52 Rules to Aim, Shoot and Score in this Game Called Life) explores that terrain with gusto and brilliance and high energy, combining his own narrative story as a young athlete (his game was tennis) with his poetry on themes such as perseverance and resilience, teamwork, character and more. Interspersed with Alexander’s narrative and poetry are quotes from famous athletes — from Michael Jordan to Simone Biles to Andy Roddick, coupled with some pretty interesting images by photographer Thai Neave. The result is a sort of quilt of ideas, a mishmash of media with a single message on finding yourself in the face of adversity and coming through by working through the barriers of life. 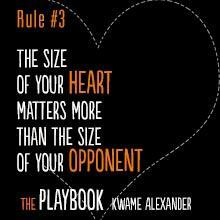 As a result, this book is nicely in tune to middle schoolers, particularly those with an interest in sports. 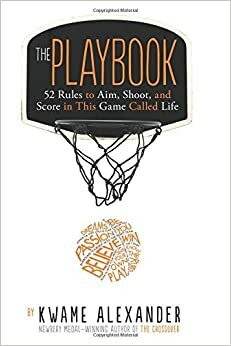 I handed this book to one of my students as soon as I got it. This student has difficulty concentrating but loves sports, and is only vaguely interested in reading novels. He loved this book, though, and thanked me afterwards for lending it to him. Robert Kyncl is no neutral party here. He is one of the executives at YouTube (YouTube Chief Business Officer) so his title of his book has to be taken with a grain of salt (as catchy as it is). Even so, Streampunks (YouTube and the Rebels Remaking Media) is an interesting look behind the curtain, a way to see how the Google YouTube corporate structure is working to find new personalities to anchor video watching as people shift away from network television and other traditional media. I read with a critical eye, as it is easy to see Google as supporting the development of YouTube only to make money off our eyeballs, but I still appreciated Kyncl’s analysis of the transformation of entertainment that has emerged from the notion of anyone can post and publish video, anytime. More and more, we see YouTube personalities making their way into the mainstream (for good or for ill, and Kyncl is open about both, citing PewDiPie’s problems as just one recent example while also noting how Vlog brothers John and Hank Green have used the platform for good in the world). One pervading message in Streampunks is that more and more of those entertainers hosting their own YouTube Channels are finding niche audiences around the world, giving rise to massive viewership for such interests as watching other people play video games, doing make-up, unboxing packages, and more. It’s another version of the long tail. The important points that Kyncl raises here is that many of these YouTubers doing this work would never have found a platform on network television or in the movies or in music because they never would have been given a chance (Kyncl’s story of Justin Beiber’s rise is a good example of this as is the reach of Lilly Singh, aka IISuperwomanII), and that YouTube has created a place for cultural representation and communities of interaction between performer and audience. In fact, success on YouTube relies heavily on the personal touch, which video can provide in a way no other media really can. Kyncl does write pretty honestly about the challenges of such open spaces, too, of ways that trolls bring negativity and how comments can become places of vitriol (when I ask my students about places they have seen the Internet as a negative experience, the overwhelming response is always YouTube comments). He says YouTube needs to do more to reach an even more diverse talent pool, and notes the efforts by YouTube to highlight diversity of personalities and cultures, and seek out new voices. What I found most intriguing here is his profiles on some of the talent who are earning a solid living off video, and the work ethic those folks put into what they are doing, feeding the audience with new material, engaging always with comments and questions, and nurturing a vision for their material that fills some sort of gap. Kyncl makes it clear that almost no YouTube video comes out of nowhere, and goes viral. Most of those videos now come from a careful long-term plan by the creators, slowly building audiences until something catches with the general public, and then riding that wave to the next level of stardom. As a teacher, and as a father of sons who dabble in video production, this insider’s look was valuable, as is trying to understand the YouTube phenomenon from an insider like Kyncl, who does have a long-standing vision for streaming video (he helped lead a project at Netflix as it was transitioning to streaming) and putting more opportunities in the hands of everyone (while making a bundle of money in advertising for Google, of course). I have been asked to do a session at the upcoming 4t Virtual Conference on Digital Writing on Monday October 16 at 6:30 p.m. EST (registration is free, sessions are online, and everything gets archived) with a CLMOOC (Connected Learning MOOC) theme, and I thought it would be interesting to parse through the concept of how projects, collaborations and ideas seem to regularly bubble up from the CLMOOC soil. I will be exploring the concept of “emergence” in social spaces, through a CLMOOCish lens. 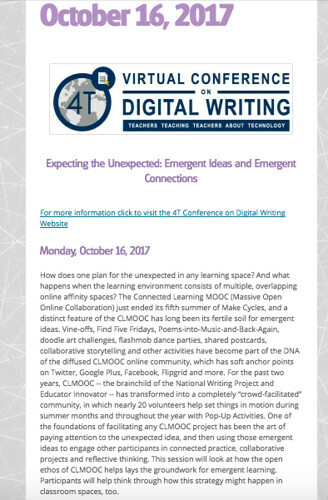 This theme of emergence has been part of a thread in past workshops around CLMOOC, as folks from the National Writing Project who began CLMOOC (Christina Cantrill, etc.) noticed from the first year how the unexpected happened, and how to expect the unexpected with CLMOOC folks. I aim to dive in a little deeper, to think about how it all seems to work. If you are curious about CLMOOC and about the whole emergence idea, please consider joining me in this free workshop. Also, check out the entire conference, which is all free, and get some ideas for the classroom and for yourself. I will also be helping facilitate a final discussion about digital writing and teaching. I may have written a bit about this last year, too. 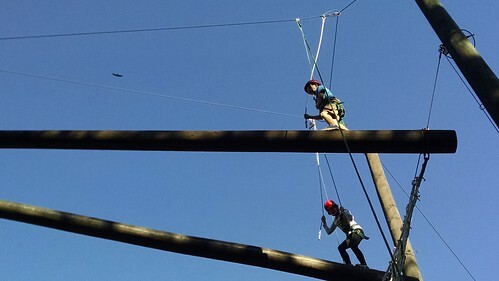 Our team-building outdoor adventure field trip happens this time of year, and yesterday, we took our sixth graders to an all-day outdoor space, with the highlight for many being the high ropes course. Watching from the ground, with the deep blue sky above, is always an interesting perspective. What you can’t hear are is the soundtrack of all the students not on the wires, shouting out encouragement and advice. 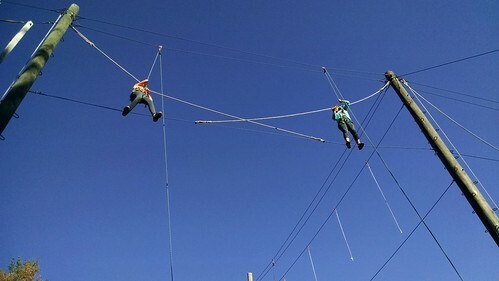 That’s as wonderful as watching kids counter their fears of the course by completing it. Some books just pull me and leave me lingering. I’d put Teju Cole’s Blind Spot in that category. A mix of intriguing photographs from different parts of the world, combined with small essays that are inspired by the photographs, or the taking of the photographs, this book by Cole is a wonder to experience. What struck me most was the construction of the essays, and the way I had to “read” into the photographs to understand the slant that Cole brought to his writing with each small piece. And small, they are. For the most part, the essays are a paragraph or two. The ideas he can pack in just a small bit of writing is amazing, and inspiring, and has me thinking of ways photography might better inspire insightful writing. There’s no one narrative thread through these pieces (there are more than 150 pieces here), except Cole has an eye for humanity, for struggle, for hidden stories, for a sense of place off the beaten path where life shows itself in different ways. He weaves in personal narrative — an eye injury is part of the underpinning of many of his stories — yet finds balance with the global view. Some of his sentences are so beautiful, so poignant, they could be framed as art. I had read and enjoyed Cole’s Known and Strange Things, but Blind Spot is very different, on so many levels. I borrowed Blind Spot from the library, but I am thinking now that this might be one of those books I splurge on at some point and get my own copy. I can see myself returning to these essays and photos from time to time, learning more about how to write, how to use images to see the world, how to explore deeper topics.